Located at the mouth of the Pearl River, Macau has a rich multicultural past as a popular trading port for European merchants over several hundred years. In it’s second life, Macau stood out as a producer of textiles, electronics and toys. Present day Macau has found yet another life with its thriving Las Vegas-style tourism industry offering of hotels, resorts, MICE facilities, restaurants and casinos. Macau’s economy is closely linked to that of Hong Kong, with the one country, two systems style of governance, providing financial and banking services, staff training, transport and communications support. This is the spot in Asia to hit if you are interested in researching the tourism industry’s role in Asia's rapid economic growth, emerging market developments, and also for examining the anthropological effects that have taken place on this international gambling mecca. 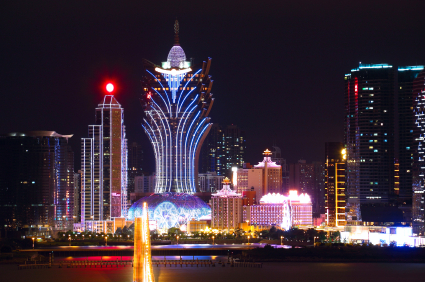 The Benjamin A. Gilman International Scholarships may fund your travels to the hottest new Asian destination: Macau. The program designed to support study abroad programs for disadvantaged students. Aiming for more non-traditional destinations increase your chances of standing out from the applicant pool. Over 700 Gilmans are given each year. Applicants must be Pell Grant recipients and academically motivated. Awards are as much as $5,000. The David L. Boren Scholarships generally support study programs in any Asian country including Macau. Your focus must be on language and culture since these scholarships are for service awards. Upon graduation, you will be expected to work for the federal government for a period of time. Preference for the scholarships are given to those students who plan to have a long-term career in a national security agency. The Boren Scholarships are offered for both undergraduate and graduate study. The Freeman Awards for Study in Asia are one of the most well known scholarships for Asian study abroad programs. The program, funded by the prestigious Freeman Foundation, was created to lend monetary incentive to U.S. students who have traditionally not been able to go to Asia. Applicants may receive funding for summer, semester or yearlong programs in Macau and other locations. Candidates must have above average academic records and demonstrate financial need to be eligible for these awards. Scholarships may be as much as $7,000 depending on need and length of program. Asian Art and Religion Fellowships are handed out to a number of researchers and advanced level students who require travel and research time in Macau on related topics. Due to the competitive nature of these awards, applicants must have a well-defined and highly evolved proposal that directly relates to their academic and/or professional background. Humanities Fellowships target those scholars with project proposals in the arts and anthropological or archaeological fields. Eli Broad College of Business Study Abroad Scholarships are handed out to a varying number of students based on criteria including academic standing, financial need and applicability of the program to their major. MSU Federal Credit Union Scholarships offer the broadest number of study abroad awards, thanks to a huge donation from the FCU. Up to $1,000 is awarded to recipients. OSA Academic Excellence Awards are given to the most outstanding students exclusively for academics. Forest Akers Scholarships are based primarily on student need.